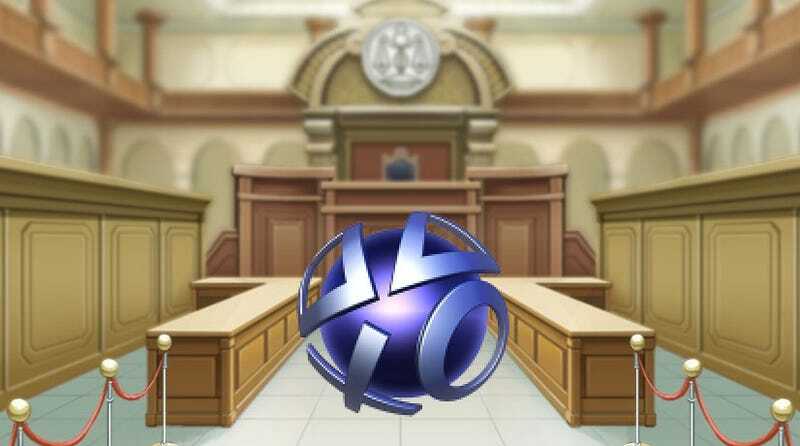 A proposed settlement has been reached in the class action lawsuits arising from the April 2011 criminal cyber-attacks on the PlayStation Network, Qriocity, and Sony Online Entertainment services. Information regarding the proposed settlement, which is subject to final approval by the Court, is available in the settlement agreement and other documents filed with the Court. While we continue to deny the allegations in the class action lawsuits, most of which had been previously dismissed by the trial court, we decided to move forward with a settlement to avoid the costs associated with lengthy litigation. To date, the Sony entities have received no confirmed reports of identity theft linked to the attacks, and there is no evidence that anyone's credit card information was accessed. We are glad that the parties are working toward a resolution of this matter and that our gamers will continue to enjoy our entertainment services. Remember back in 2011, when the PlayStation Network went down for almost a month? Well, after years of haggling in court, Sony has recently agreed to a settlement in the cases brought forward following the hack. One which, if the judge approves their offer, is going to cost Sony $15 million, and give a whole bunch of people free stuff. It's important to note that this information is all taken from Sony's offer of a settlement. It's yet to be signed off, so things in the actual notice - like the website you need to visit to make a claim - are currently offline, incomplete or not working. It also means that, while it's likely that this is going to take place, there's always the chance things change. Claimants in the case who didn't get anything from the Welcome Back campaign Sony ran back in 2011 (but who were active PSN account holders at the time) are able to choose two of the following three freebies: a free PS3 or PSP game (from an as-yet unseen list), some PS3 themes or three free months of PlayStation Plus. These claims are only on a first-come, first-served basis. Once Sony has given out $6,000,000 of games/themes/subs to those folks, the deal is off, and anyone still after something will get one month's free PS Plus. If you did get a free game from the Welcome Back campaign, you can choose one of the above options (game, themes or 3 months of PS Plus) instead of two. That offer is also capped, this time at $4,000,000, with the same one-month PS Plus deal available to anyone who misses out. Anyone with an active account who lost unused PlayStation Store credits will, if their balance was above $2, get that money back. If you were a Netflix or Hulu Plus subscriber who couldn't access their account, you're eligible for three free months of PlayStation Plus. Anyone able to prove they had their identity stolen as a result of the hacks that caused the downtime is eligible for up to $2500. As said above, since this isn't final, you can't actually sign up and make your claims yet. There will also be a toll-free phone number and mailing address available. Once you can (and who knows, that might take a while), we'll let you know. Note that this settlement will only cover those in the United States, since that's where these particular class-action lawsuits were brought forward. What happens in other regions is up to Sony and whatever similar cases were lodged there. We've contacted Sony for further information, like which games are being considered as part of the offer, and will update if we hear back. If you'd like to view the settlement offer in its entirety, you can check it out below. The important stuff begins on page 5.